Skeletor and his evil warriors have found a way to breach the Mystic Wall that protects Eternia and attack the sacred land. Now it’s up to He-Man and the Masters of the Universe to push back the evil beasts to the Dark Hemisphere. Take control of He-Man’s magical sword and awesome strength as he fights–on foot and in vehicles–against wave after wave of enemy attacks. 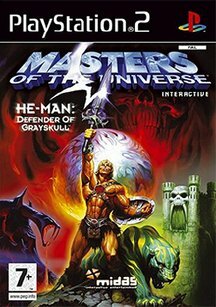 All the characters from the Masters of the Universe animated series clash in this epic fight of good and evil.